Amelia (Essie Davis) has struggled to raise her six year old son, Samuel, since her husband died whilst driving her to the hospital to give birth. After withdrawing Samuel from school due to his behavioral issues, Amelia finds a book in their house entitled "Mister Babadook". One night, she reads Sam the book, despite its dark, frightening nature. Since that night, Amelia and Samuel begin to experience strange happenings wherever they go, despite Amelia's insistence that the Babadook isn't real. However, after throwing the book away, it soon returns to her doorstep with a new warning; the more you deny the existence of the Babadook, the stronger its presence will be felt. As stated in my recent review for the annoyingly average Annabelle, 2014 has been a mixed year for horror. But, when it gets it right, it really gets it right, as shown with Oculus. Which is why it's such a relief to be able to say that The Babadook exceeds every horror film released this year. In fact, it probably surpasses every horror film from the last decade. This is real horror. No over reliance on blood or gore, no abundance of cheap jump scares; The Babadook crafts genuine tension from beginning to end, surrounded by sympathetic characters with an emotionally heavy story to guide the film through to its sublimely terrifying final act. Old fashioned, stylistic and loaded with sheer, genuine terror, The Babadook is all you could really ask for when it comes to horror. It helps that the lead role of Amelia is played by Essie Davis, an actress previously unbeknownst to me, but certainly one to watch for the future. Amelia's character goes through a horrific change throughout this film; from caring and compassionate, to desperate and demonic. Davis tackles every scene with commitment, and she fuels her character with just the right emotional level in order to make us care about her, and go on that emotional roller coaster with her. Very much a female fronted film, The Babadook is directed, written, produced and led by women; a refreshing alteration from the predominantly male driven film industry. Jennifer Kent, with her first time in the directing chair, goes about this film with precision and intention, and the result is a knockout. My favourite element of The Babadook is unquestionably the way it looks visually. For the vast majority of the film, Kent employs a heavy detraction of colour; some of the external scenes may as well be shot in black and white. By withdrawing heavy colours from the film, we are immediately drawn into the dark atmosphere; The Babadook is dark both emotionally and aesthetically. Kent also uses unusual framing for many scenes, and this adds to both the tension and the visual complexity of the film. We open with a breathtaking shot; a medium close up of Amelia's face while she endures the car crash that preceded both the birth of her child and the death of her husband. This is a contrast used repeatedly throughout the film, especially the final act. The scene in which the Babadook appears in the form of Amelia's deceased husband asking for their son to join him is a moment that is both visually stunning and emotionally harrowing, but commands our attention to appreciate the weight of what is actually happening to Amelia. And it deserves it. But thanks to Kent's innovative visual style and old fashioned approach, The Babadook is truly horrifying. Kent uses the first half of the film to build us into the mythology of the Babadook and to allow us to buy into the characters. By only having two main protagonists, this is much easier than the standard father-mother-two-children cast most typical horrors offer. But once we reach that mid point, the film explodes into a frenzy of jumps, frights and horrors, and each come so quickly after the last that you've barely had time to recover. The Babadook itself is fantastically designed, as creepy as it is memorable. The same can also be said for Jed Kurzel's score, which accompanies the film's tone to perfection and allows even the most frightening moments to be pushed even that little bit further. But most of the fear comes through the emotional bond between Amelia and Samuel; between mother and son. Their relationship is the real underlying narrative that guides the film from act to act, and it works seamlessly. 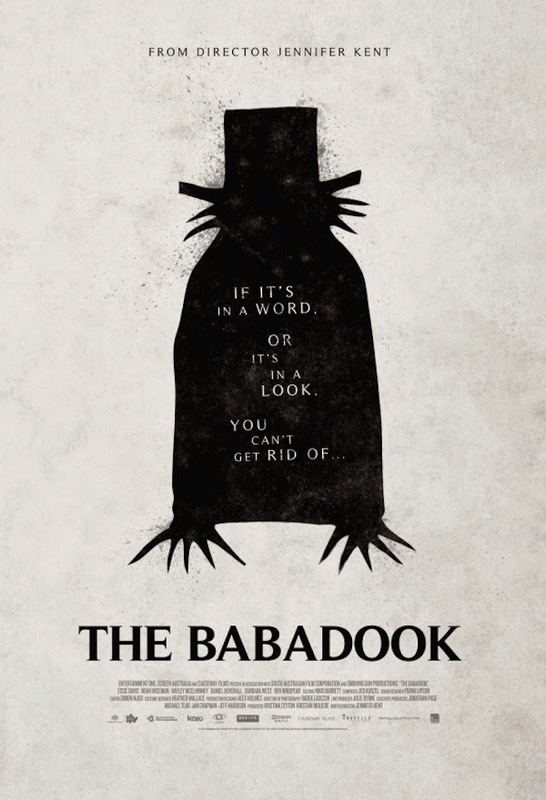 I really hope The Babadook is successful commercially. It would be awful for an underwhelming and generally disliked film like Annabelle to make a monumental profit if a masterclass in horror like this doesn't fare as well. The Babadook is truly original, something that has been lacking in horror for quite a few years now. This takes you back to the days of The Exorcist or the original Halloween, in which sound and emotion can be used as both a narrative tool and a means for fear. In years time, when people look back at the great films of the horror genre, I can only hope that The Babadook is recognised as one of the best. In the endless swarm of found footage, jump-scare ridden, unoriginal "horrors" that we're subjected to these days, The Babadook stands high and proud as one of the greatest ever produced in its genre. To Summarise: Boldly directed, emotionally powerful, and loaded with enough pure horror to last a lifetime, The Babadook is a brilliantly refreshing take on a decaying genre. Most anticlimactic ending I can remember in a long time. Okay horror movie but best of the decade? Please man. Jessabelle itself is a far better movie. Granted there haven't been many classic horrors in the 2010s but this one is obviously not the best. Noah Wiseman was great. But the connection between the father and the monster was hardly explained or explored at all. And the ending - such a letdown. Massive disappointment. It genuinely believe it to be. It was visually masterful, innovative, well acted all round (Davis deserves award recognition), emotional and genuinely scary. I can't name another horror I've seen in years that ticks all of those boxes.